Living away far from home is not easy especially in times of special celebrations. Some of my friends in the Philippines always asked me how we celebrate the holiday season - the Christmas and the New Year here in the middle east, knowing that middle east countries doesn't celebrate such kind of feast. There are a lot of ways on how to celebrate Christmas naman dito, but 25 don't fall on Friday or Saturday for some, its just like any other day kasi may work pa rin. I am blessed I have "THE HAUSEMATES", they are MY DOHA FAMILY. Although hindi na kami literally magkakasama sa iisang bubong we make it sure to be with each other in every family celebrations - simpleng handaan man or food chain treat lang. And every year, we make it sure to allot at least a day to have our family thanksgiving - to thank the Lord for blessing each and everyone of us, for comforting us and our loved ones in the Philippines to all the rough times we've been through, and to pray one another to the new and coming year. Qatar serves a good channel to bless us and our family, although may mga umalis na meron namang mga bagong dumating at idinagdag si Lord sa Doha Family, and we claim it na katulad namin they'll be bless also. Simple celebration turns to be extravagant if you'll spend it with your family and loved ones. Let's face the reality, I mean all of us wants to be homed and celebrate this season with our "immediate" family but the only way we can do that at this time is through technology but that doesn't mean we will spoil the day. 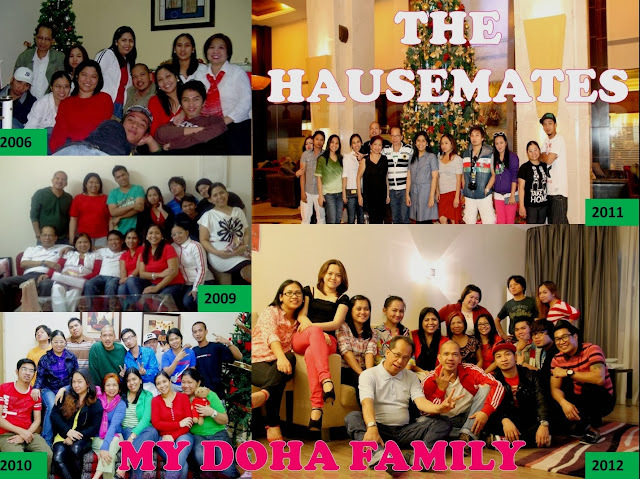 I am blessed, I am thankful, I am grateful I have my family here - The Hausemates, My Doha Family. For whoever is with you this Christmas, what matters is the gift of love you can give them. This year we will make it simple but joyous for sure. No hotels and staycation, we will celebrate it on Lolo't Lola's house but for sure it will be a big bang of joy! To all new "hausemates", hope you'll enjoy the celebration. 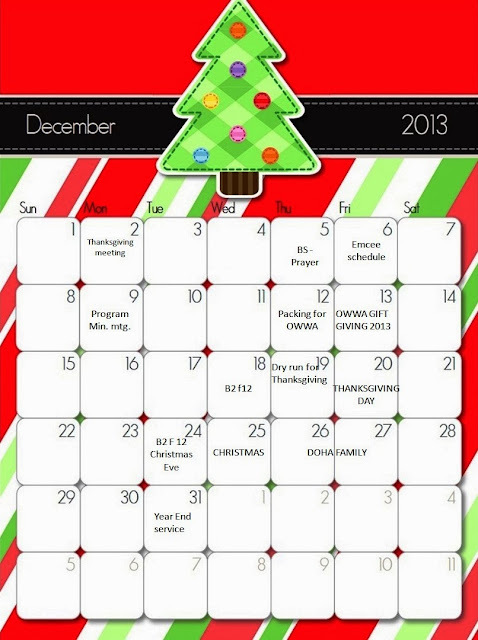 I know homesickness is just around but don't let it control you instead make the most of the holidays and enjoy! Have a happy and blessed Christmas! Almost loaded every week not included side trips like buying gifts for loved ones and not to forget the Sugar and Spice engagements. And how about the Christmas parties with friends? I guess this would really be a super busy holidays but a super fun too! So let's start it today! Have a great blessed month to all of us.